A gangland feud led to the double murder of an underworld ‘Mr Big’ and a mob ‘fixer’, a court heard today. 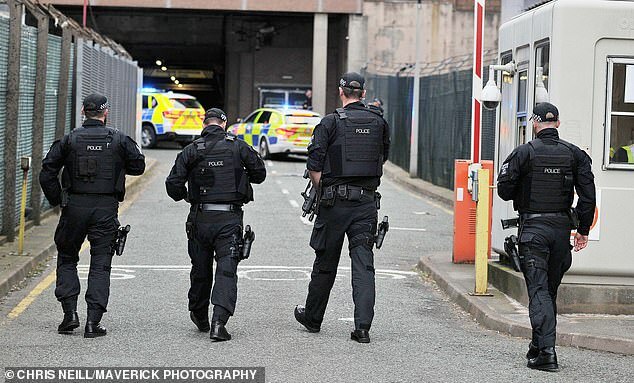 Paul Massey, 55, from Salford and his friend, John Kinsella, 53, from Liverpool, each had a ‘serious criminal history’ and were ‘notorious’ within gangland in Liverpool and Manchester. 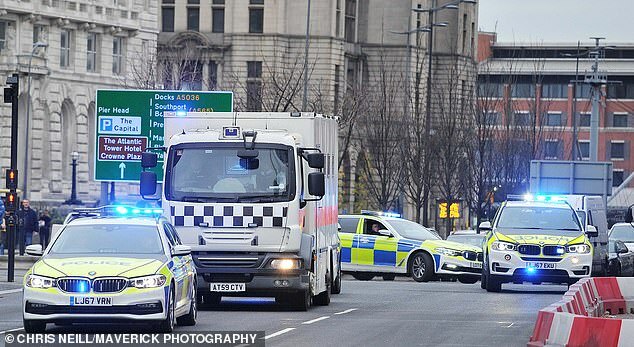 Both were gunned down in ‘stone cold murder’ during a deadly feud involving rival crime gangs in Salford, Liverpool Crown Court heard. Mark Fellows, 38, and Steven Boyle, 35, both deny the murders and the attempted murder of Wendy Owen, Kinsella’s partner. They sat in the dock, surrounded by six prison officers, today as around 15 relatives of Mr Massey and Mr Kinsella sat just yards away from the dock in the public gallery. Prosecutor Paul Greaney QC told the jury Massey was murdered in July 2015 and Kinsella almost three years later in May, 2018. He said: ‘They were friends and associates. Moreover, each was well known, if not notorious, within the gangland of the North West and both men undoubtedly had enemies. The first gang was headed by a man named Michael Carroll, the jury heard, with Fellows and Boyle associated with that group. 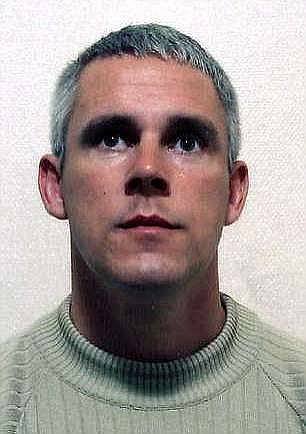 The second rival gang, which called itself ‘the A Team’, was headed by a man named Stephen Britton. Paul Massey was associated with that gang and was regarded by Stephen Britton as a mentor and in turn, John Kinsella was strongly associated with Paul Massey. 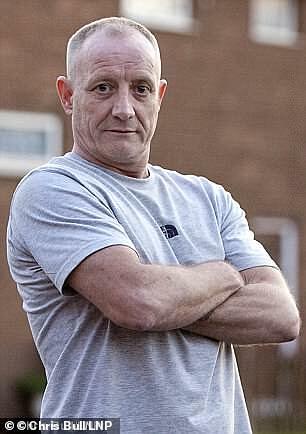 Around 7.30pm on July 26, 2015, Massey parked his BMW car outside his home in Clifton, Salford, and walked up the driveway of his home. As he did so, a gunman lying in wait, followed him, firing an Uzi sub-machine gun, killing his victim, before fleeing the scene. Police were unable to charge anyone with murder until earlier this year when Kinsella was killed. At about 6.45am on May 5, Kinsella set out on his usual morning walk with his partner Wendy Owen and their dogs from their home in Rainhill, St Helens. A man, allegedly Fellows, cycled up behind them on a mountain bike and blasted Kinsella twice in the back with a handgun. He fell face down as Wendy Owen ‘charged’ at him but the gunman then turned the gun on her, shooting, and she fled. Fellows then calmly cycled nearer to Kinsella and shot him twice to the back of the head, the jury heard. The jury heard CCTV evidence showed the gunman had cycled from the area of Mark Fellows’ home in Warrington, to the area of the Kinsella murder. And more evidence suggested Boyle had acted as a ‘spotter’ who had positioned his Renault Clio so he could see Kinsella and Ms Owen approaching. And Mr Greaney said there were ‘clear parallels’ which suggested the same killers carried out both murders. In particular, police investigating the Kinsella murder seized a Garmin Forerunner watch belonging to Fellows. The watch is a type of watch worn by keen runners and cyclists which has a GPS function enabling routes run and cycled to be recorded, along with other information such as pace and distance. It showed, police say, Fellows on a ‘reconnaissance run’ for the planned gangland hit.